By far the most confident album The Maine have made. Published: 11:36 am, March 25, 2019Words: Jack Press. Straying ever further from the ‘Warped Tour’ pop-punk they cut their teeth on with 2008’s ‘Can’t Stop Won’t Stop’ debut, ‘You Are OK’ continues to build upon the alt-rock approach 2015’s ‘American Candy’ and 2017’s ‘Lovely Little Lonely’ began. Taking a departure from the noir of ‘LLL’ in favour for the bubble-gum pop that made ‘American Candy’ shine, The Maine allow crisp guitars and funky basslines to lead the way. 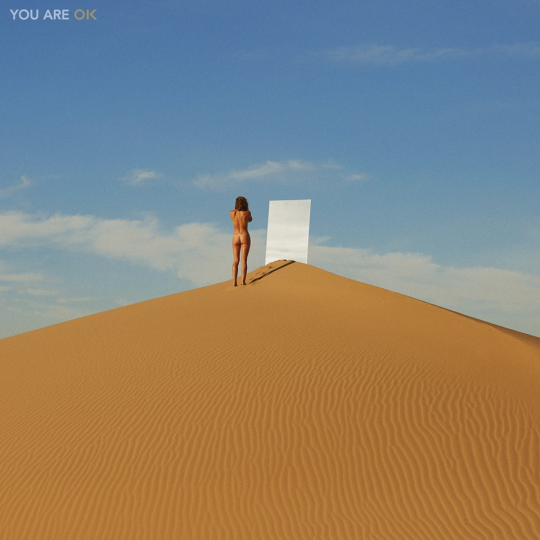 ‘You Are OK’ is by far the most confident album The Maine have made, stacking risk after risk up on a pedestal from EDM-wrapped orchestral strings (‘Numb Without You’) to nine-minute alt-prog jams (‘Flowers On The Grave’). It’s clear from the offset that The Maine have developed ten-fold as songwriters, dismaying trivial pop-punk clichés in favour of ambiguously colourful storytelling that narrates the plights of a millennial struggling with love, loss, and loneliness in a generation plagued with anxiety and depression. On ‘Numb Without You,’ John muses “you are the violence in my veins, you are the war inside my brain, you my glitter and my gloom, I am so numb without you;” showcasing the anxious thoughts of an entire generation, whilst ‘Heaven, We’re Already Here’ acts as its antidote; as long as we’re living our lives to the fullest, you are most definitely ok.
With everything sounding bigger and better than ever before, ‘You Are OK’ is The Maine’s definitive soundtrack.